John's vision quest and shamanic work began in the mid-1940's, after experiencing his first vision quest at the age of seven. Since the 1950's, John has guided thousands of people into the wilderness, always sharing with them a profound connection with Nature, and a deep commitment to the realization of Source Awareness. Over the years, many have sought his profound teachings on the Clear Light of Source and on spiritual cultivation and meditation in Nature. His has also been widely sought for his powerful yet gentle Qigong teachings, T'ai Chi Ch'uan training, and Sacred Passage programs. He has pioneered for western civilization a unique, vital way of spiritual cultivation in Nature that ripens in a deep ecological experience of Communion with all species and with Mother Earth herself. John's teaching's draw upon many decades of practice in various styles of meditation, T'ai Chi, Qiqong, and extensive personal vision questing. His training is also informed by direct teachings from many of the world's outstanding spiritual teachers and lineages. From this comprehensive background, John has created and essentialized a path of key principles and disciplines that flow from Universal Source. He calls this path "The Way of Nature." The lead process of this Way John has named, "Sacred Passage." The core of The Way of Nature Fellowship and Sacred Passage are Twelve Principles, distilled from his many years of solo time in the wilderness, and combined with deep training in some of the world's most profoundly enlightening, earth-connected lineages. Buddhist, Taoist, Dzogchen, Tantric, Vedantic and Shamanic traditions are mystically encapsulated in these Twelve Principles, the Heart of his Awareness Training. In John's teachings, the Awareness Training combines these Twelve Principles with powerful practices for realizing Source. The Training also concentrates on uniting inner and outer Nature. Supported by hundreds of specific cultivation techniques, these deep principles for spiritual growth bloom in the Hearts and minds of all those that go through his regular and advanced Awareness Trainings and Sacred Passages. For John, and all who associate with his teachings and principles, Nature - not human constructs - is the Church, the Temple, and the Altar. John received his M.S. in Ecology and Environmental Conservation from the University of Michigan in 1962 and 1963; he was also a student at Mexico City College, and the OAS Inter-American Graduate School of Tropical Science in Costa Rica. A leader in his field, John focused attention on the environmental impacts of bilateral and multilateral organizations involved globally in economic development projects. During these years, he played an instrumental role in the birth of the environmental movement from the early 1960's, as well as the Tropical Forest protection movements of the 1970's and 1980's. Following a landmark study conference that John designed by the same name, his 1966 book, "Future Environments of North America," was a first in opening the use of the word, "Environment" to describe our culture's paradigm shift into a responsibly ecological view of our oneness with Earth. Between 1963 and 1972 he directed the International Programs Division of the Conservation Foundation, now a part of the World Wildlife Fund - WWF), in both New York and Washington, D.C. In the early 1970's, John was the first ecologist on staff at the White House, working with the President's Council of Economic Advisors. He went on to be awarded a position as a Woodrow Wilson Resident Scholar for a year at the Woodrow Wilson International Center for Scholars located in the original "Castle Building of the Smithsonian in Washington, D.C. Between 1979 and 1981 he was visiting professor of Environmental Studies at Sangamon State University in Springfield, Illinois, and Director of its Center for Urban and Regional Studies. He has also served on a variety of committees at the National Academy of Sciences. Since the 1950's, John has conducted numerous expeditions and field projects in wilderness areas of the United States, Alaska and the Canadian Arctic, Central and South America, Asia and Africa. These have included rhino and tiger conservation in Nepal, protection of mountain ecosystems in both Nepal and Bhutan, preservation of Alaska's wilderness, and rainforest protection in Brazil, Cambodia, Central America, East Africa, Ecuador, India, Indonesia, Laos, Mexico, Peru, Thailand, and Venezuela. John has also authored numerous books, articles and audiotapes, as well as produced video/CD/DVD media on ecology, environmental conservation, meditation, cultivating life energy, inner development, discovering and protecting sacred places, preserving wilderness and the shamanic way. Some of his publications include: The Future Environments of North America, 1966, Doubleday and Co.; Nameless Valleys, Shining Mountains, 1970, Walker & Co.; The Careless Technology: Ecology and International Development, 1972, Doubleday & Co.; Earth and the Great Weather: The Brooks Range, 1973, Friends of the Earth; Ecological Principles for Economic Development, 1973, John Wiley & Sons; The Last Great Wilderness, Wilderness USA, 1973, National Geographic Society; Sky Above, Earth Below: A Complete Course on Spiritual Practice in Nature, 1999, Sounds True (six audio tape set). In 2001 and 2002, working with Sarah Sher and The Way of Nature Productions, he released a CD and DVD entitled The Sacred Land Trust, and a preliminary VHS tape on The 12 Principles. His work scheduled for release in 2003 includes: a multi-angled DVD on T'ai Chi Ch'uan; five 90 minute DVDs and a book on John's Qi Gong system; and a DVD and audiotape series on his Twelve Principles. 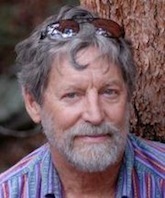 With his background as a professional ecologist, John embodies a unique blending of scientific grounding in ecology with spiritual awareness. For much of his life since the mid-1950's, John has labored to open what he calls" Sacred Ecology" as a new cultural foundation for The West. In the early 1970's he established Threshold, a foundation devoted to innovative environmental work coupled with opening the way to spiritual liberation in Great Nature. Later came Sacred Passage and The Way of Nature Fellowship, as well as The Golden Flower School, where he has instructed T'ai Chi for over 25 years. Threshold, Sacred Passage, and The Way of Nature programs all inspire Earth Stewardship by cultivating natural wisdom and an open, loving heart in the wild. Under Threshold, John and several associates have also established the Sacred Land Trust, dedicated to preserving and lovingly communing with natural areas holding special sacred qualities. These areas are integral to deepening each individual's harmony with Nature, and enhancing their capability for spiritual liberation. All this work demonstrates John's life long devotion to the mystery of Gaia, and to the process of human liberation, allowing deep ecological and spiritual values to guide his own path. John continues to live, explore and lead wilderness trainings in many of the Earth's wild and sacred places. Through the Way of Nature Fellowship, he offers Sacred Passages, Regular and Advanced Awareness Trainings, classical vision quests, weekend to week long Trainings on a variety of means to cultivate the Sacred View, and wilderness solo experiences for individuals and groups. JPM: With the encouragement of my grandfather and parents, I began doing wilderness solos and vision quests at the age of 7 in 1945. I told them I wanted to go out alone into the mountains "to be in the real Church." For the next five years, I did at least several vision quests a year in northern New Hampshire, Maine, or in the swamps and Pine Barrens of southern New Jersey. When I was 15, I did my first month-long wilderness solo in the Olympic Mountains of Washington State. Since the 1960's I've been working on creating an inner development process that defines the essential universal spiritual principles and provides carefully selected and refined practices that cultivate these principals. This process combines guided Awareness Training with alone time in wild Nature. I call this "Opening the Sacred View"...This View is now grounded in The Twelve Principles, The Sacred Passage program, the NatureQuest process, and the basic and Advanced Awareness Trainings now offered through the Way of Nature ?s spiritual fellowship.